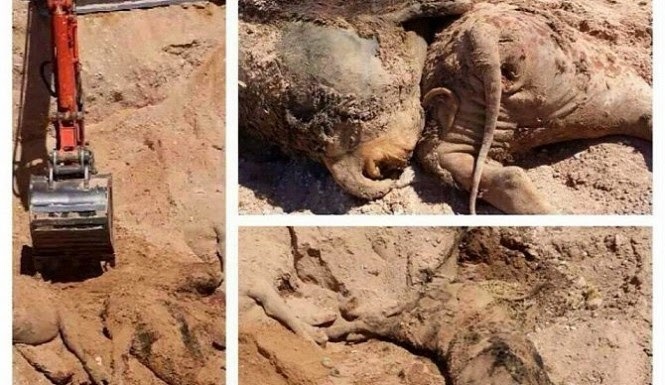 It seems some animal torture, death, and slaughter is more important than others, as PETA has no condemnation for the Bureau of Land Management (BLM) and the newly released photos of the mass cattle graves the BLM used to hide their slaughter of Cliven Bundy’s cattle. The Bureau of Land Management’s court order only gave the federal agency the authority to seize the Bundy ranch cattle from owner Cliven Bundy. 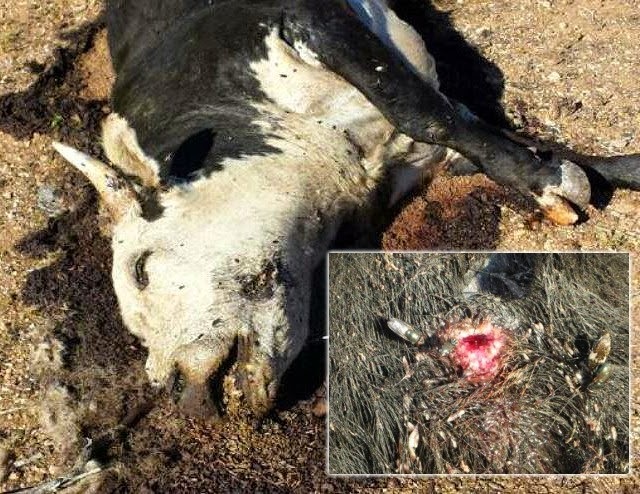 As previously reported by The Inquisitr, several prized bulls were also shot and killed after being deemed a “safety hazard” during the standoff. A Fox News reporter, among others, who viewed the bull holding pens after the livestock were “euthanized” noted that any evidence of wild behavior such as damaged gates or fencing were not evident. Where is PETA’s outrage? 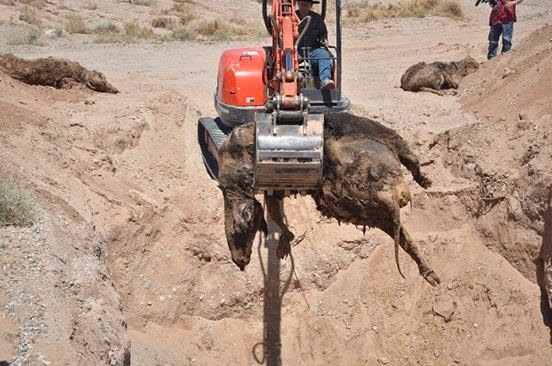 Where are their public statements condemning the BLM for the inhumane treatment of the Bundy cattle? Here are multiple ways to express YOUR outrage over PETA’s lack of it. If an animal is in imminent danger, please contact your local police department immediately. If your local police department is unresponsive, call PETA immediately–day or night–at 757-622-7382, option 2. Or you may contact PETA by filling out our Report Cruelty to Animals form. The report Cruelty To Animals forms can be found HERE.